Nelson Pereira dos Santos (born 1928) is a Brazilian director, screenwriter, editor and producer, often considered the Godfather of Cinema Novo. Dos Santos’s films relate to the history and struggles of the Brazilian people, both giving voice to their grievances and rejoicing in their popular culture. From City Symphonies to Neorealist classics to Tropicalismo masterpieces, his films cover a broad range of genres that have evolved and diversified over time to garner both national and international prominence. His work paved the way for a type of cinema that exposed a rarely explored Brazilian reality concerning class inequity, poverty and racism. With a productive career that spans over half a century, dos Santos’s independent spirit did not keep him from participating actively as producer, screenwriter and editor of his own and other filmmakers’ projects. His long career as a director, which consists of over 20 narrative and documentary features and more than a dozen short films, encompasses many different styles: western, chanchada, historical pieces, literary adaptations, avant-garde and documentary. As varied as his oeuvre might seem, he has remained truthful to the ideal of producing a Brazilian cinema to be seen in Brazil. In doing so, he has created films that have indisputably won over audiences across the globe: Rio, 40 graus (Rio, 100 Degrees F., 1956), Vidas secas (Barren Lives, 1963), O amuleto de Ogum (The Amulet of Ogum, 1974), Como era gostoso o meu Francês (How Tasty Was My Little Frenchman, 1972) and Memórias do cárcere (Memoirs of Prison, 1984), among others. 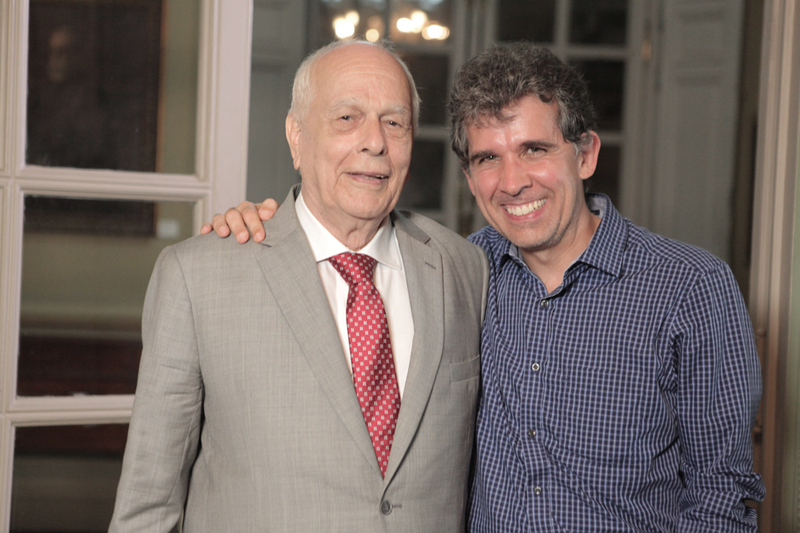 Brazilian director Nelson Pereira dos Santos is interviewed by Mateus Araujo at the Academia Brasileira de Letras in Rio de Janeiro, Brazil, on March 22, 2016. It is a co-production with the Getty Foundation’s Pacific Standard Time: LA/LA initiative and is part of the project From Latin America to Hollywood: Latino Film Culture in Los Angeles 1967-2017. Dos Santos begins by discussing his childhood in São Paolo. He speaks of his liberal-minded parents and wonderful education. Reminiscing over the first book his father ever bought him, The Poetry of Machado de Assis, he describes his background as more literary than cinematic. He credits his great schoolteachers for encouraging his love of Brazilian literature. He talks about his affiliations to the Brazilian Communist Party and shares his journey from studying law to working as a journalist and film critic to finally making films. Starting with his first film, the documentary short Juventude (1949), he reflects on his career as a filmmaker. He speaks of his admiration for Brazilian writers Jorge Amado and Graciliano Ramos and asserts his belief that cinema should serve literature. Having spent some months in Paris in 1949, he cites European cinema as strongly influencing his film work, specifically mentioning Luis Buñuel, Jean Renoir and Jean Vigo. 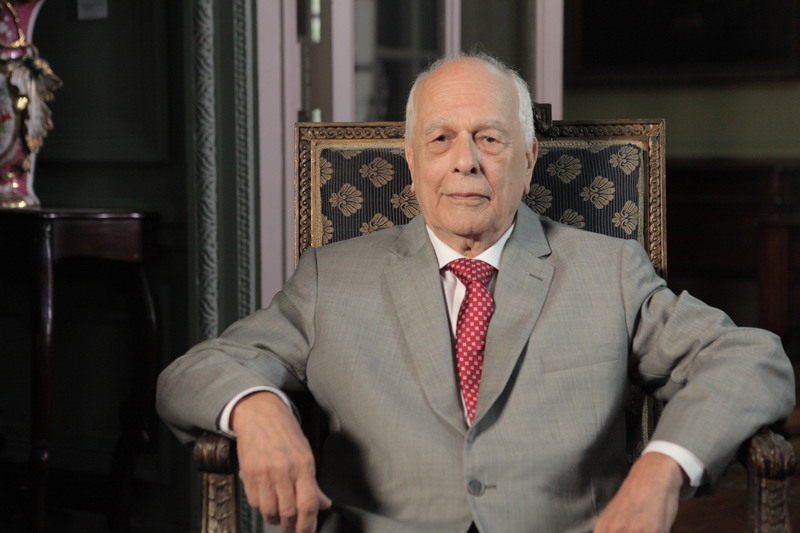 He remembers his first professional job as assistant director working on Rodolfo Nanni’s film O Saci (1951) and describes relocating to Rio to work as an assistant on Alex Viany’s Agulha no palheiro (Needle in the Haystack, 1953). He talks about living in Rio and how experiencing life in the Jacarezinho neighborhood inspired him to make Rio, 40 graus (Rio, 100 Degrees F., 1956). He asserts that this film, with its emphasis on social equality and intellectualism, paved the way for Cinema Novo. Dos Santos shares his experiences of working alongside influential people from the Brazilian motion picture industry. He describes his 25-year-long friendship with director and screenwriter Glauber Rocha, expresses his gratitude to director and producer Moacyr Fenelon for being such a remarkable advocate for Brazilian cinema, and credits director Humberto Mauro for lending him the camera on which he shot his first film. 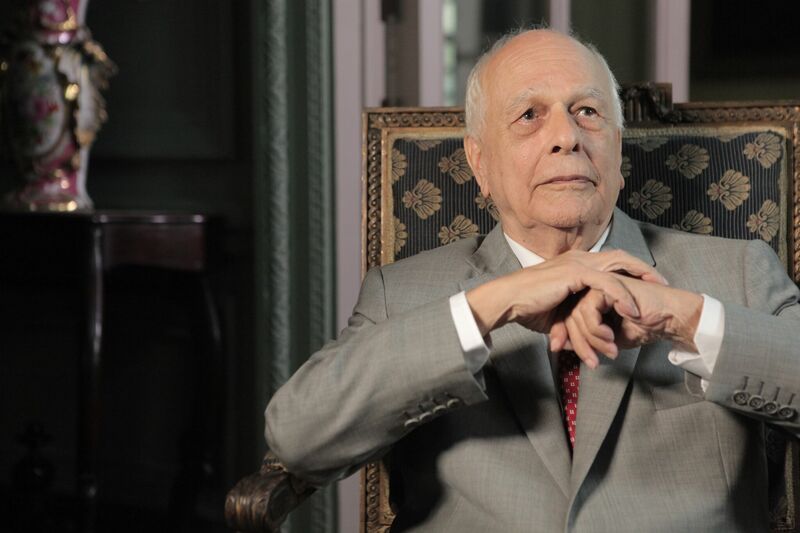 Throughout the interview he emphasizes that his films seek to represent two extremes: Brazilian popular culture and the best Brazilian literary traditions. Films addressed at length during the interview include Rio, 40 graus (Rio, 100 Degrees F., 1956), Rio, zona norte (Rio, Northern Zone, 1957), Vidas secas (Barren Lives, 1963), Boca de ouro (The Golden Mouth, 1963) and Memórias do cárcere (Memoirs of Prison, 1984). Dos Santos concludes by pondering the proudest moments of his filmmaking career and offering words of wisdom to aspiring Brazilian filmmakers.